THE HISTORY OF TIBETAN CIVILIZATION: A TALK SERIES WITH ELLIOT SPERLING, 2015-2016, NEW YORK. On one occasion — I don’t remember when over these last few years, because Elliot has come to Beijing a few times; he couldn’t go to Lhasa, but he could come to Beijing — Elliot was holding a big thick English book, and he told me it was the memoir of Mme Mandelstam. I now realize that it was toward the end of March, 2011. On the 16th, the 20 year-old-monk Phuntsog in Amdo county bathed himself in flame in a terrible sacrifice to protest killings in Lhasa three years ago. A few days later I encountered Lobsang Tsepa, a fellow monk from the Kirti Gompa monastery. He choked back his tears as he told me of Phuntsog’s immolation. But soon, he’d vanished. It wasn’t until two years later that I found that he’d been taken away by police from a Chinese language school in Beijing. “I don’t know if it matters or not, but I’m still gonna say it. “They always make people think that speech is pointless. I remember the first time I met Elliot like it was yesterday. It was the summer of 2010. After dropping off his luggage at the hotel, he took a taxi straight to Tongzhou, in Beijing’s eastern suburbs, to see me. Though he’s one of the few Tibetologists completely proficient in Chinese, he rarely, rarely spoke Chinese with me. My point isn’t to boast about the proficiency of my Tibetan — everyone knows that I still have a ways to go there — but to note that, it seemed to me, he spoke with me in Tibetan in order to help me improve. That night I took him to the Makye Ame Tibetan restaurant at Jianguomen. The name of the place is ambiguous, and given to possible, sometimes erroneous interpretations. In any case, the food was quite good, despite not being all that authentic. They also had Tibetan wheat beer, shipped in from Lhasa. This, it must be said, was a comfort to Elliot, who hadn’t enjoyed a draught of it since his youth. As we savored it and spoke, he remarked that Tibetan dance performances were becoming popular, and the growing number of “Tibet fans” in the capital was creating a sense of Orientalism. After that, it seemed that every time we met, it would be over food. We went to many restaurants in Beijing: Tibetan, Indian, Mexican. Of course, we frequented Chinese restaurants the most, including hotpot places and others. Apart from eating and drinking, we went to bookstores, art galleries, the Old Summer Palace, the Imperial College, Nanluogu Hutong (南锣鼓巷), the Songzhuang artist village, and so on. On two occasions we almost got sunstroke (he always come to Beijing during the height of summer). We also took in operas together. On one occasion, Elliot (who at that point, because of his increasing resemblance to the mien of Lenin, I had taken to calling “Comrade Lenin”) invited me to the National Center for the Performing Arts in Beijing — known as the Giant Egg — to see the opera Carmen. He’s the kind of fellow who knows almost every classical opera inside out. He wore a white linen suit, and hummed along while keeping time. One time, my friend and I were celebrating our birthday, but the only thing playing was The Flower Girl, a North Korean propaganda classic that I’d grown up being brainwashed by in the Cultural Revolution. Wang Lixiong [王力雄, the author’s husband] took Elliot, me, and my good friend out, jokingly describing it as a session of Maoist era “remembering the sufferings of the past in order to appreciate the happiness today.” That night, Beijing was beset with an intense storm — like all the tears of North Korea were raining down on it. I like to jokingly call Elliot “Genla” — a Tibetan honorific term for teacher. One time, we went to Chengde in Hebei to tour one of the seasonal imperial residences that a Manchurian emperor had given to his Buddha Dharma Grand Masters, the Dalai Lama and Panchen Lama (they’re commonly known as the “Small Potala Palace” and the “Panchen’s imperial residence”). With the help of Elliot providing some casual advice, I managed to write a piece about Chengde that was not too bad. As a Chinese dissident loathed by the government, myself and Wang Lixiong often have our freedom restricted and suffer house arrest. I’m under more restrictions. This is shown by the fact that, for instance, Wang can get a passport (though sometimes neither a passport nor a visa does much good, because national security police can nullify your travel right when you are about to board a plane to depart), while I can’t. We suspect it’s because of our different ethnicities [the author is Tibetan; her husband Han]. Mme Mandelstam wrote: “We live among the kind of people that can disappear into another world, sent into remote exile, concentration camps, or jails…” Indeed — our close friend, the moderate Uighur scholar Ilham Tohti, was on January 15, 2014, violently dragged away by dozens of police, in front of his two children, and taken from Beijing to Urumqi in Xinjiang and jailed. He’s still in prison. A week before he vanished, myself and Wang Lixiong met him at a Uighur restaurant near Minzu University in Beijing, then went to his house to call on his frail wife and sick mother. Two years before he disappeared, Elliot and Ilham met for the first time, but hit off famously, at the same Uighur restaurant. In the group photo we all posed for, the feeling of trust and love of one another’s company we shared spilled out of the frame. Ilham’s daughter Jewher says that Elliot is “the best person in the world” — not just because he arranged for Ilham to spend time as a visiting scholar at Indiana University, but because when both of them attempted to board the plane, and Ilham was arrested, and the 18-year-old Jewher was suddenly alone on her way to the United States, Elliot took care of her. Her father had long prior entrusted her to Elliot’s care should it become necessary. But Elliot wasn’t just solicitous and caring toward his friends. 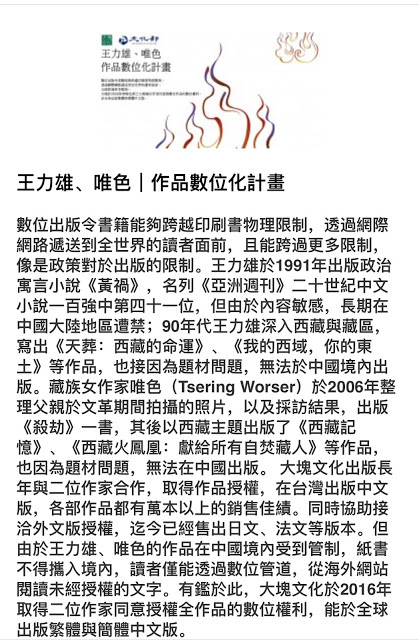 I once wrote in an essay: “Just like my friend and scholar of Tibet Elliot Sperling, though he studies the history of Tibet and its relations with China, he still pays utmost attention to Tibet’s political affairs and human rights. He once described his concern for Tibetan issues (he’d always correct you if you refer to Tibet in the Chinese term “xizang” 西藏, instead of 图伯特): It’s simply based on his support for the basic values of civil society and his wish to defend them, and has nothing to do with nation or ethnicity. It’s for this reason that he supports the Tibetan struggle for national survival and endurance.” This and the many other things he did seemed inspired by, as Albert Camus said in “The Rebel,” concern for others, rather than mere personal indignation. I’ll provide simply two examples. Last May, in response to the Chinese government’s destruction of Lhasa’s old city in the name of “remodeling,” Elliot put out a call in the Tibet studies field and collected the signatures of 130 Tibetologists from around the globe, publishing “An open letter to Xi Jinping and UNESCO.” The letter stated: “This is not just a Tibetan problem; it is not just a Chinese problem. It is an international problem,” and that it would turn Lhasa into “an early 21st-century tourist town, shorn of its uniqueness and its innate traditional culture,” and called for immediate cessation of the destruction of Lhasa. Even though the calls didn’t stop the Chinese government, the protest itself demonstrated what an awful regime they are. Another matter Elliot was involved in was the film “Duihua” (《对话》) produced by the independent Chinese documentary filmmaker Wang Wo (王我), completed in March this year [i.e. 2014]. It’s a documentary about Tibet, Xinjiang, and related ethnic minority issues, and features a conversation between His Holiness the Dalai Lama and a number of Chinese intellectuals over the internet, as well as a dialogue with Wang Lixiong about his thinking on the question of minorities in China. Elliot not only helped review the subtitles, but organized the premier at Indiana University. THE RUINS OF THE GANDEN MONASTERY. PHOTO BY SPERLING VIA WOESER. Ganden monastery Another time, Elliot’s daughter, C., came to Beijing. She is really a beauty; anyone who set eyes on her would agree. And Elliot knew it, so he would, with a big grin on his face, say in Tibetan: “Like daughter, like father.” I’d assume a dubious expression and give him a little smack. Actually, Elliot’s Bohemian style as a youth was indeed rather winsome. And even though these days, from all appearances any residual hippiness has been successful transformed into the air of a scholar, I’ve always felt that there was still a bit of hippie left inside. If it were otherwise, he wouldn’t have gone last summer to a Mexican restaurant with myself and two other Tibetans, and end up drinking so much that we wound up weeping maudlinly on one another’s shoulders. When Wang Lixiong heard that one he laughed and exclaimed: Sperling really is a hippie! He went out on a bender with you guys, half his age! I really like his daughter — and not just because she’s beautiful. It’s also because in the spring of 1995, when Elliot brought the 7-year-old C. to Lhasa (he went a total of eight times, the last occasion in 2004), he taught her the Tibetan sentence: “Bod Kyi Dhak po bod mi yin [meaning “Tibet belongs to Tibetans.”] And so, whether she was visiting the Potala Palace whose true owners have in exile for decades, or paying homage to the ruins of the Ganden monastery destroyed during the Cultural Revolution, this little angel would, whenever she saw a monk, an elderly person or woman on pilgrimage, call out in her clear and crisp voice: “Bod Kyi Dhak po bod mi yin” Tibetans hearing her were astonished, and many were moved to tears. The first time I heard this story, I also nearly cried. I thought that we’d see each other again this summer. In anticipation, I had bought two books on Amazon: “Hope Against Hope: A Memoir,” by Nadezhda Mandelstam, Osip Mandelstam’s wife, and “Record of a Search for the Dharma in the Land of Snows: A Chinese Lama’s Oral History.” These were presents for a man who seemed to love books like his life depended on it. I also planned to take him to another Tibetan restaurant to try some truly Tibetan gourmet cuisine. In June, when Wang Lixiong and I were traveling in southern Mongolia, Elliot sent a note that he’d received his visa without any problems. This really was a surprise, given that so many Tibet scholars, sinologists, and Xinjiang scholars, among others, have had their visas rejected for expressing views opposed to those of the Chinese government. Could it be that Elliot Sperling was a target of the communist party’s United Front work? In the end, it wasn’t to be. In the afternoon of July 5, he arrived at the Beijing Capital International Airport after a 14-hour flight, and was not only denied entry to the country, but was forced into a small room by police, where he was photographed, interrogated, prevented from using his cell phone, followed to the toilet, detained for 90 minutes, and then put on the next flight back home. The following day when I saw him on Skype, ensconced again in his New York apartment like he’d never gone anywhere, it felt surreal. 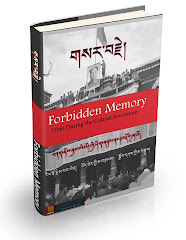 Self Delusion, criticism of the Middle Way policy of the Tibetan exile government, Aug 12, 2014. The Body Count, mass killings in Tibet in 1958, Sep 14, 2012. Freedom and Independence…and Language, Nov 1, 2011. 原文《唯色：记埃利亚特·史伯岭》, translated from Chinese by China Change.